“They told me that it can’t be repaired”, We have heard that story all of the time from customers coming in after visiting another tire shop. Whether you hit a curb that popped your tire or have a foreign object stuck in the tread. In our experience of flat tire repair, we have found that most can be repaired. 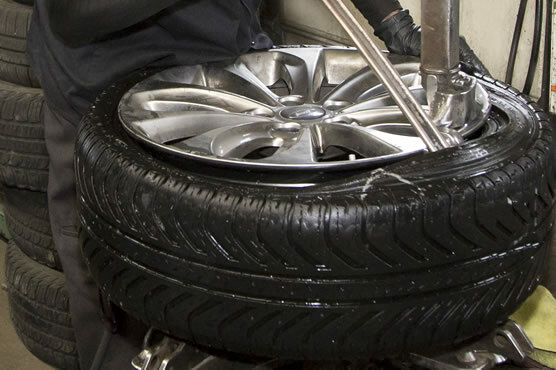 Not only do we repair tires that others say cannot be repaired, we do it the right way. 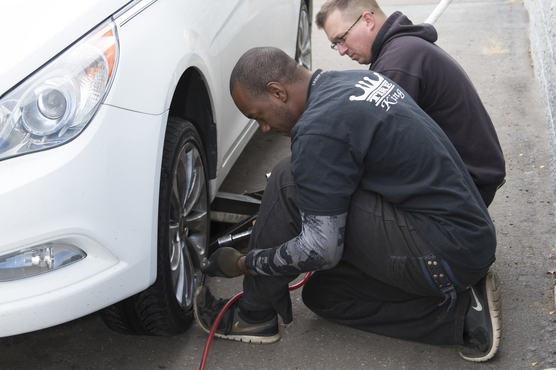 We take pride in patching your tire properly so the repair will last, no plugs used here. At Tire King we have seen many customers come in with an assortment of objects stuck in their sidewalls. Repairs are generally limited to the center of the tread area on a tire for safety reasons. Once the sidewall has been compromised, it is best to replace the tire, sidewall repairs can fail without warning. 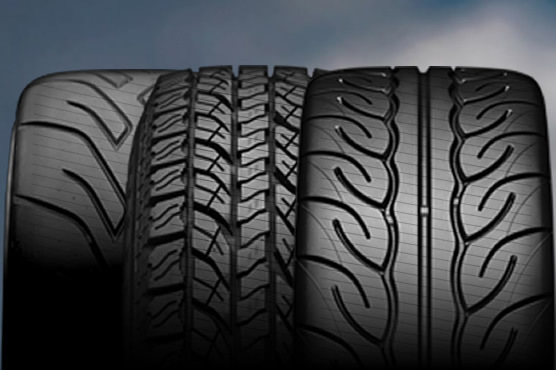 In the occasions that the tire cannot be repaired, and you have an all wheel drive or 4 wheel drive, we have an amazing selection of used tires to match tread depth. Siping is process where cuts in the tread of your tire are carefully made along their width, making for better traction in wet, snowy, or icy conditions, a more quiet & soft ride, and extended lifespan. Sounds like magic, huh? 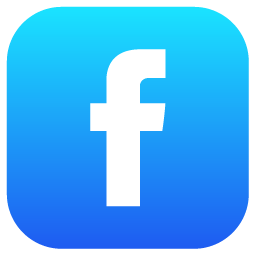 Want to learn more about Siping? Download this free brochure for more info. Your car may develop a unnerving vibration that increases with the speed of the car, but not engine RPM, that is easily mistakable for something mechanically going wrong with the engine. Fear not! This may only be the result of tires in need of some simple, quick adjustment, returning the smooth ride and handling back to your vehicle. 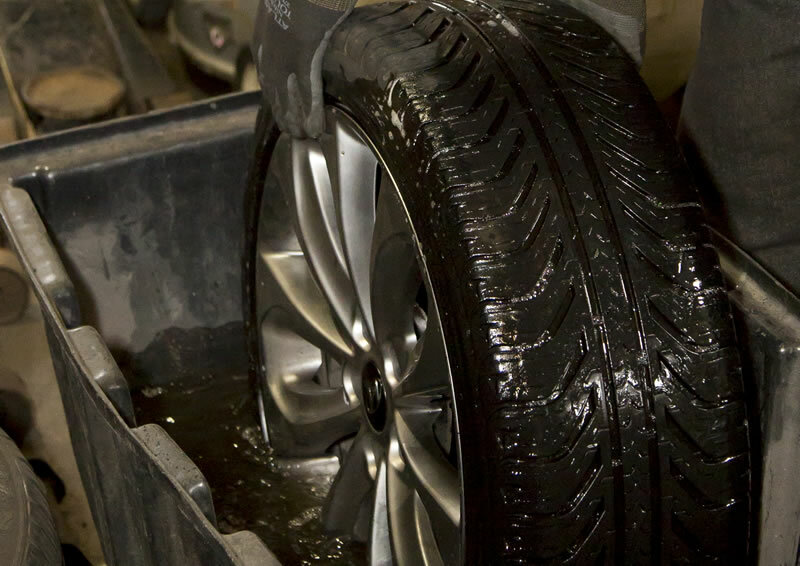 Mounting tires onto wheels can make for a difficult, frustrating time if you aren't familiar with the process... That's where we come in, you can count on us to make putting new tires on as painless as possible. Have a tire that you need mounted? We will put it on your rim. Sometimes snow tires alone are just not enough, enter: Tire Studding. 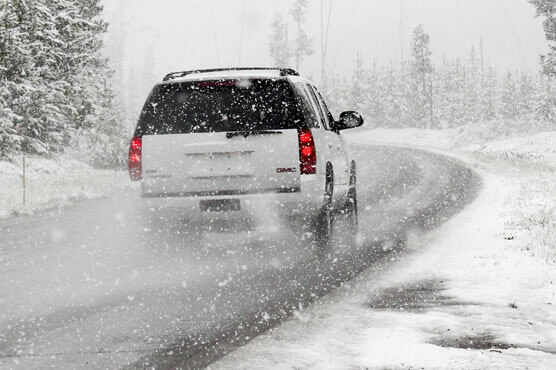 States such as Colorado allow for the addition of ice-biting metal studs to the tire tread of vehicles expected to face all the tough, frigid conditions that this state throws at us. Call us today to get yours prepared for the next nasty, icy blizzard. Wheels are a big investment! After rubbing a curb, hitting that particularly nasty pothole or having a rock put a good sized chip in your otherwise perfect rim, that big investment could get a sizable dent in it. We can restore them to their full form & function to get you back on the road. In the event that we cannot restore your rim to it's former glory, we have a wide selection of used wheels in stock, including many OEM products. Tire King offers all types of wheel repair services, and in most cases, can have that wheel ready for the road in less the 24 hours!